A team of researchers and students at the University of California, Riverside has created a Lego-like system of blocks that enables users to custom make chemical and biological research instruments quickly, easily and affordably. The system of 3D-printed blocks can be used in university labs, schools, hospitals, and anywhere there is a need to create scientific tools. The project is led by Douglas Hill, a graduate student working withWilliam Grover, assistant professor of bioengineering in UCR’s Bourns College of Engineering. Before joining UCR’s Ph.D. program in Bioengineering, Hill worked for 20 years in the field of electronics design, where he used electronic components that were designed to work with each other. He was surprised to see there was no similar set of components in the life sciences. A Stanford University research lab has developed new technologies to tackle two of the world’s biggest energy challenges – clean fuel for transportation and grid-scale energy storage. “Millions of cars could be powered by clean hydrogen fuel if it were cheap and widely available,” said Yi Cui, associate professor of materials science and engineering at Stanford. Unlike gasoline-powered vehicles, which emit carbon dioxide, hydrogen cars themselves are emissions free. Making hydrogen fuel, however, is not emission free: Today, making most hydrogen fuel involves natural gas in a process that releases carbon dioxide into the atmosphere. Writing in the June 17 edition of Sciences Advances, Cui and his colleagues presented a new approach using bismuth vanadate, an inexpensive compound that absorbs sunlight and generates modest amounts of electricity. To capture sunlight before it escapes, Cui’s team turned to nanotechnology. 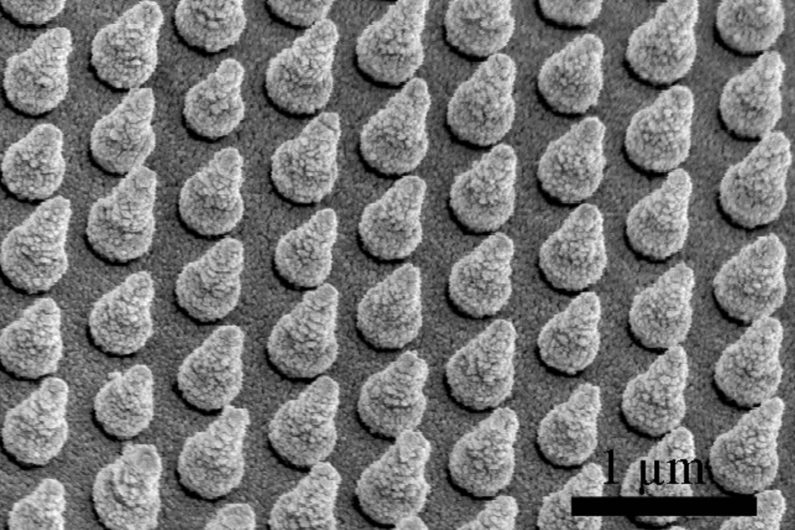 The researchers created microscopic arrays containing thousands of silicon nanocones, each about 600 nanometers tall. “Our design is very simple and could be applied to a wide range of metal batteries,” Cui said. 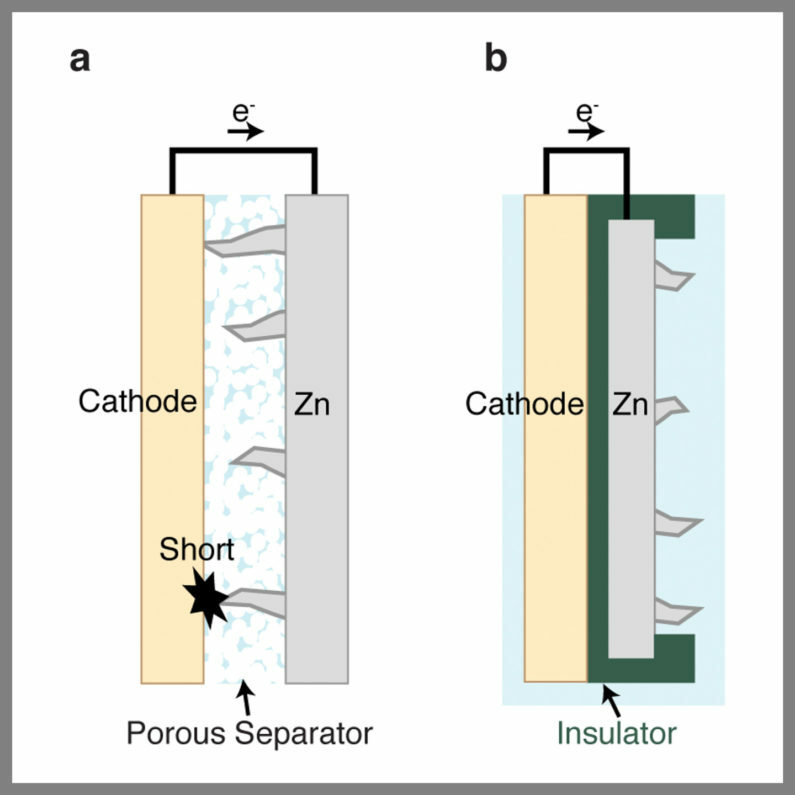 Other co-authors of the Nature Communications study, “Avoiding short circuits from zinc metal dendrites in anode by backside-plating configuration,” are Seok Woo Lee and Jang Soo Lee of Stanford, and Kensuke Takechi of Toyota Central R&D Labs Inc.
Four lead authors contributed equally to the Science Advances study, “Efficient solar-driven water splitting by nanocone BiVO4-perovskite tandem cells”: Yongcai Qiu, Wei Liu and Wei Chen of Stanford, and Wei Chen of Huazhong University. Other authors are Guangmin Zhou, Po-Chun Hsu, Rufan Zhang and Zheng Liang of Stanford; and Shoushan Fan and Yuegang Zhang of Tsinghua University. Support was provided by the U.S. Department of Energy, Stanford’s Global Climate and Energy Project, the National Natural Science Foundation of China and the Natural Science Foundation of Jiangsu Province in China.